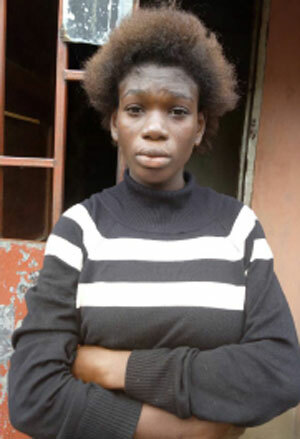 A 19-year-old lady Ayomide Adebayo who had been arrested by the Lagos State Police for dumping her two month old baby in a bush has once again absconded with the baby. 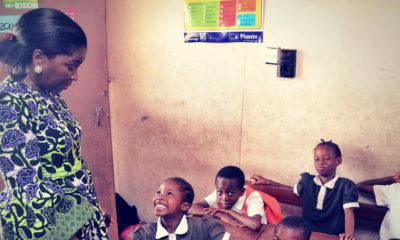 Ayomide was said to have been impregnated by an apprentice named Martins Tewogbade, whose parents had rejected the child after Ayomide had her on the 30th of April. Ayomide had left home and approached a worker at a Cherubim and Seraphim Church identified as Joke Fatai to help her take care of the baby until the 10th of June when Ayomide returned to collect her baby. She is reported to have gagged the baby’s mouth with a cloth, tied her nose, dumped her in the bush, and returned home, where she told people the child was dead. 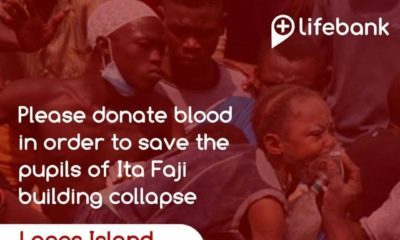 However, the child was discovered by a vigilante group and with the help of Joke Fatai the mother was traced to Bariga where she lived. Fatai was expected to report to the police command headquarters along with Ayomide and the baby to be handed over to the Ministry of Youth and Development when she reported both mother and baby missing, Vanguard reports. She was reportedly given an ultimatum of 24 hours to show up with both mother and child. Judging from this picture, this girl doesn’t even look mentally stable. Ayomide, yes it is sad and the situation looks tough to handle. Let God intervene and help you. Don’t compound sin. Don’t add murder to this issue. Don’t do something you will regret later in life. That child and you can be great. Fear God in this matter. He does not joke with children. These children have angels, you must gave heard baby survival stories. Don’t incur God’s wrath. Even if the authorities don’t get you. There is a higher authority who sees what is going on even under the sea. She is going though all this alone while the father of the baby is idly watching. DNA nko??? Where is the father? What is his role?